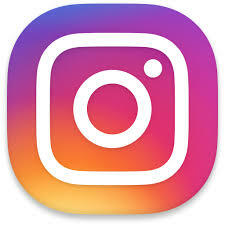 Instagram is a social media application that has morphed over the last several years, eight to be exact (Instagram, 2018). The application is used by people commoners and celebs alike to share snippets of their lives with the world. The snippets come in many media forms pictures and videos mostly, but there are formats as well. For its intended purpose, the app is doing great, but something tells me that there will be more. The intended audience is people twelve years old or older, however, people have been open about sharing the lives of their children and pets as a primary feed for there media sharing. 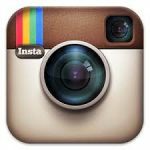 Instagram was founded by two gentlemen, Kevin Systrom and Mike Krieger, they use the developer handle Instagram, Inc. which they develop initially in 2010 (Instagram, 2018). It does follow good design principles, it’s simple and intuitive to navigate and to post original pictures or video. It is simple to send a message via the app on my iPhone, but some devices are a bit challenging in that regard. If there was a single obvious limitation it would be the ability to repost others original post to share on your feed and to your followers. Universal Design for Learning, does it follow it, the short answer is not really. Much like the majority of applications, there is no apparent desire to be completely inclusive among app developers. Learning value? Is there any? Yes if your objective is to learn about people by what they share with the world. 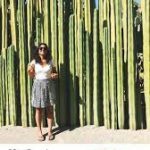 Simply put, there is a lot one could learn about someone who shares a lot of content on Instagram. There are not any theories of learning embodied by the design of the app, well, I take that back. Cognitive Load Theory comes to mind when you think of a single post on someone’s feed. The principle of cognitive overload would be hard to violate. Seeing that it is a social media application, it doesn’t fair well as a mobile learning technology, but if it is used to conduct a research study, one could do well using some the developer’s other applications to derived analytics for statistical research requirements. Thank you for returning or checking out my BLOG for the first time this time we’re reviewing the collaboration app SquidHub. SquidHub, “A collaboration app for people who want clarity, simplicity, a bit of fun – and a great way of working together (SquidHub ApS, 2016)!” The previous quote was straight for Apple Store catalog, I could not have summed it better. The app is built for users ages 4 and up, this seems to be a re-occurring theme or it that designers understand the reality of our society today. The later is my guess, my daughter now 6 and she will be 7 in a few days has intuitively been able to navigate applications on mobile devices well before to the age of 4. SquidHub ApS are the developers and publishers of the app. This application does not follow good design principles and it is lacking in Universal Design for Learning. The major limitations I see so far is the inability to test all its features without conducting an actual collaborative project. Many of the screenshots are encouraging but not being able to test the features oneself leaves me to pause to render a more positive review. The SquidHub app does have the possibility of providing educational value, collaboratively speaking. If you would like to embark on any collaborative assignment as a student, integrated project team member, employee and any other team assignment one could use the SquidHub to approach the task. There is no particular theory of learning that stands out in the application. In its current format the SquidHub app is comparable to many mobile apps, but ones with a mLearning likeness not so much. One could argue if the learning objective was directly towards running a project, but the app would have to be a bit more intuitive to give that argument basis. I see potential in the app as is with a little practice. SquidHub ApS. (2016). 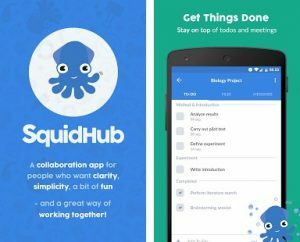 SquidHub: Organize projects. Gaming applications along with Social Media Apps or texting are responsible for cell phone addictions everywhere. Candy Crush Saga, in particular, is especially addicting as I can attest to first hand. I discovered the game after returning home from Afghanistan in 2013, soon after that, I introduced the game to my wife. For my family, that was all she wrote, no one else in my household was able to place Candy Crush on their own Apple devices anymore. That’s right! We no longer are allowed to play Candy Crush on our own Apple devices. The game is designed for people ages 4 years old and older. Basically, to explain the game much like others it’s a spin-off of the old game Tetris. The goal of the game is to match candy into a variety of patterns in order to clear a particular task like a certain score, a number of candies, a number of jellies cleared or a combination of certain tasks. 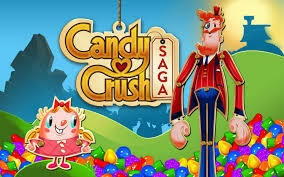 It is developed and published by King Digital Entertainment PLC, it originated in 2011 (Candy Crush), later modified to its current state in 2012 (Candy Crush Saga). Facebook, had this game developer to create the Saga edition in April of 2012 (contributors, 2018). 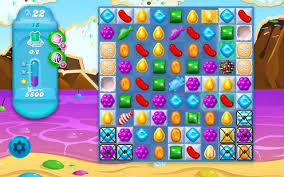 Here are a few screenshots of Candy Crush Saga. For its purpose of digital entertainment, Candy Crush Saga is designed very well. Most would consider the typical 5 lives for the game to be a limitation, but nowadays with extremely talented coders who love this game, there are available game hacks which gives you unlimited lives or even unlimited access to some of the games special features. The game today is not accessible to blind people, in my research, there were some who have approached the topic of accessibility, but with no response on record. There is nothing of real value one could learn from the application, but the exercise of thinking critically or creatively are two features the game challenges mentally. This actually serves a purpose just like crossword puzzles or jigsaw puzzles are used to keep elderly people’s minds sharp. There are not any learning theories or design models that I can associate with this game. We have reviewed the Candy Crush Saga application from an introductory viewpoint, the critical eye of an Instructional Design professional, and from a standpoint of design, learning value, and even accessibility. I hope you have enjoyed my BLOG, until the next time, thanks for reading. 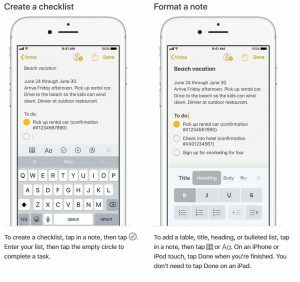 Apple’s Notes application may not be leading the charts among productivity applications, however seeing that it is an extension of one’s Mac onto their plethora of Apple mobile devices, it does so seamlessly. Intuitively as the name speaks it allows one to create notes in a variety of ways. The Notes app is certainly underrated in my opinion, especially when I go the App Store to see no ratings listed for the app. Whomever the developer is at Apple who created Notes, they went to great lengths to ensure that all “i” s are dotted and all “t” s are crossed. Having been a user of the Notes apps for some time now, I may be a little bias, but after putting on my ID hat or from an accessibility vantage point, the app is really decent. 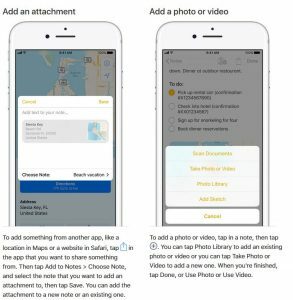 It is intuitive in design, it more inclusive than its past versions with today’s version having so many other features combined into the app like audio, photos, and video capability, as well as the ability, incorporate various file types as attachments. In my eyes, the limitations are bound by the skillsets of the user. If I had one major limitation of the app, it would be the limits of formatting in Notes, but this would be nitpicking at best. 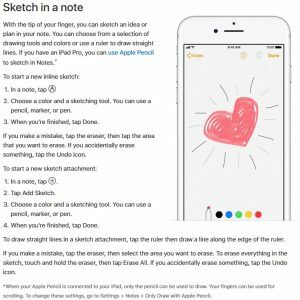 As for educational value, if utilized appropriately, Good notes could be taken with the app during lectures, basically a notebook at your fingertips. The educational value for this app is in its note-taking capabilities. As mention, notes at your fingertips, it’s mobile, so for that reason alone it has value compare to other mlearning technologies of today. People could learn using this app that old tricks die hard, this would be referring to the old school note-taking methods. There aren’t any learning theories embodied within this app that comes to mind. We’ve discussed this app from an introductory vantage point, review its capabilities and features. We examined it as an education tool and as also as a simple productivity tool. We also rated its design and accessibility features. Overall, I see the application as an intuitively designed application that can be used for everyday use as well as a tool for more traditional students in our mobile society. Introducing the Khan Academy application, it is an application in its description reads that it allows you to learn almost anything free. This application is likely spawned from the website www.khanacademy.org which has sort of a re-occurring theme paraphrased as one being able to learn anything, anytime, free and forever (Khan Academy, 2018). Khan Academy’s application is spurred by their website www.khanacademy.org, it is basically a mobile variation of the website which was first developed in 2005 by their now CEO, Salman Khan. He goes by the name Sal, he originally developed Khan Academy to help his cousin and eventually other people’s cousins (Khan Academy, 2018). So, how does it work, to learn using this application is as simple as a search to get started. You find the subject-matter you’d like to learn, select it and begin the lessons and learning activities. 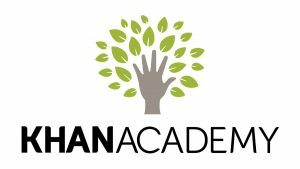 Courses or lessons are published on both the website and the application, the Khan Academy is a 501(c)(3) nonprofit organization (Khan Academy, 2018). The content for courses includes a vast content and subject areas. Content in forms of screenshots, & video and subject area sections such as Math, Science & Engineering, Computing, Arts & Humanities, Economics & Finance, Test Prep, and a section for College, careers & more (Khan Academy, 2018). As for tools used for development, they include a modest list of resources used which are Camtasia Recorder/Studio, ScreenVideoRecorder, SmoothDraw 3, Microsoft Paint, and the Wacom Bamboo Tablet (Marquis Ph.D., 2012). What’s remarkable is that many of the tools used around the original content created on Khan Academy have grown from being relatively cheap or free to moderately or expensively priced. This speaks volumes about the growth of not just Khan Academy but, also the use and relevance of online learning from its origin to today much have changed over the years. Khan Academy follows excellent design principles in my opinion since before taking any of my coursework in instructional design, I used it review my knowledge base in geometry, I found it to be intuitively designed with an ease of use to be envied by leaders in online learning. It does not have any obvious limitations as far as what a global society has deemed as relevant content. Critics might try to point to lack of courses or content in subject areas unavailable on the site, but to me, it’s sort of the beauty of their vision. It is seemingly boundless, as long they continue to expound on the idea of free education, for everyone, forever (Khan Academy, 2018). As a non-governmental organization, Khan Academy is not bound by Section 508 Accessibility Standards, in areas of alternative text, structural elements, HTML5 & ARIA, and contrast errors there is certainly some room for growth. I utilize the WAVE (Web Accessibility Evaluation Tool) tool to evaluate the site’s accessibility. As for other Universal Design for Learning (UDL) features, where I could not accurately confirm or deny. No that’s the website, the application in those areas does significantly better, much of UDL features are mitigated by the mobile design of the application and there are certainly universal design principles followed in the lessons I have sampled. Khan Academy’s application can be used to learn subject-matter in areas such as Math, Science & Engineering, Computing, Arts & Humanities, Economics & Finance, Test Prep, and a section for College, careers & more (Khan Academy, 2018). For now, this is the case, but I get a sense that there is more on the horizon. It embodies adaptive learning technology as a principal learning gap identifier (Khan Academy, 2018). With partnerships with the likes of NASA, The Museum of Modern Art, The California Academy of Sciences, and MIT it has no issues to any potential rivals in the mLearning community (Khan Academy, 2018). I’ve provided you with a little background about this application and the site it’s originated from. We provided a description of the application, a review of its design, and thoughts about its educational value. I hope you have enjoyed my BLOG, until next time. Good Bye! © 2019 Lucius Sykes' WEBLOG @ UALR.